Closure of BBC Radio service is the biggest tragedy of "Information Era." Peter Hawks, the Chief of the British Broadcasting Corporation (BBC) announced in an unexpected declaration that the broadcast of BBC Radio service in Hindi, Macedonian, Serbian, Albanian, Russian, Ukrainian, Turkic, Mandarin, Spanish, Vietnamese and Azeri will be stopped with effect from 20th March. It is to be noted that the BBC, located at Bush House, London is run by a government funded Public Trust. Expenses and salaries of the BBC staff and journalists are borne by the Foreign Ministry of Britain. Now the foreign ministry has decided to cut the funding for BBC by sixteen percent. The British Foreign Minister said that the priorities of the BBC will be the new markets wherein online broadcast on internet and mobile will be important. While about 650 people will lose their jobs as a result of this announcement, this decision will also be a sad thing for the regular listeners of the BBC. A year ago, another major Hindi news service Voice of America was closed by the US administration. This decision also had the financial crunch behind it. But in India it didn’t make much news as is being made by the closure of the BBC. The main reason is that the BBC made a special place in the hearts and minds of Indian people by its impartial, correct and quick reporting which no other news service could ever match. BBC Hindi ruled the roost with the help of its incredible news analysts and intelligent and well-versed correspondents. It will not be an overstatement that innumerable number of Indians became civil servants, politicians, student leaders, writers and journalists by listening to the BBC. BBC had been very helpful for the candidates of various competitive examinations. BBC Hindi Radio service has been listened by the people ranging from poor, rickshaw pullers, street vendors and village gatherings for about six decades. Even today, there are hundreds of thousands of such audience of the BBC in India, who start their day by listening to the morning news bulletin and go to bed after the last bulletin at night. 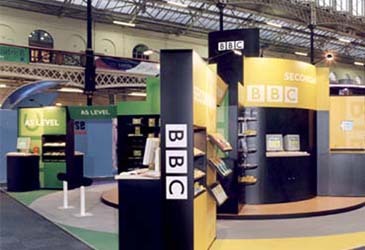 The sale of Radio equipments and Transistors in India was, to a large extent, due to the BBC. Many newspapers, magazines and TV channels in India used to source news from the BBC as they are considered as most reliable. But now, all these things will perhaps become a part of history. No doubt that the entire world, particularly the West is passing through a phase of economic crisis. But in this period of crisis, if at all cutting in expenses is required, it should start from a cut in expenses for weapons and war. Huge expenses incurred vis-à-vis Iraq, Afghanistan and such other places where the British forces are operating along with the US forces, should be slashed instead of the most trustful BBC Radio service. But unfortunately the British foreign ministry took this hard decision without caring about millions of audience of the BBC. Thanks to its incredible reporting and broadcast, BBC has created an impeccable image in the information world. Last year, in an effort to strengthen its contact with the Indian people, the BBC organized a special Railway journey and its correspondents also travelled by bus in many states in India. From this attempt, it seemed that the BBC is going to be more active. The BBC audience were even optimist regarding its possible launching of a Hindi TV news channel. But all dreams of the BBC lovers were shattered by the british foreign ministry and the BBC management. Indian listeners are even ready to the extent of paying for the BBC service and help it, if need be. By opting for the advertising model also, BBC can manage the expenses. Rather than closing this popular service down, the British government and the management should have found ways to make it more strong and popular. British government should have took note of the fact that the BBC, by its reliable, impartial and authentic information dissemination, left behind the Voice of America and other Russian, Chinese and German rivals. Taking such a disturbing decision in the name of financial crunch, and that too without caring about millions of listeners, makes it clearly evident that British government is incapable of taking right decisions. It would not be wrong to say that whatever respect Britain has in this world today, is just because of the reliable news service like the BBC. Indian listeners will never forget Aajtak, Vishwa Bharati, Aajkal and Hum se Poochhiye programmes of the BBC, which were listened to in every nook and corner of the country. 20th March is yet to come. Indian listeners have expressed their views from the bottom of their hearts, on the BBC evening show India Bol. If the British government and the BBC management didn’t reverse its decision of closing down the BBC Hindi radio service, then the Indian audience for whom the BBC is like a family member, will feel ditched. Moreover, they will develop a feeling of doubt regarding the working, capability and functioning of the British government. Why the Fatwa against Terrorism Is Ineffective? Angola: A Conspiracy to Ban Islam? Is Iraq on the Verge of Civil War? Is Iraqon the Verge of Civil War? India Moving towards a Constitutional Crisis? Hafiz Saeed: an Angel or a Demon? Today's World and Gandhian Thought! Is This the Reality of "True Muslims?" How to Tackle Natural Disasters? Saudi Arabia -- Also a Patron to Hafiz Sayeed? Nobel for Obama: Right or Wrong? Veil and the Theory of "Clash of Civilisations"
A Lesson for Hypocrite "Nationalists"
How Far Is the War? India: Responsible for Burning J&K? American Target -- Terrorism or Islam? Pak -- May God Save You! Congress: On Thorny Path- Another "Mr. Clean"
What Is Important - Power or Ram? Justice in George Bush's Veto? Only Patriotism Can Lead to "Developed India"
Is Deputy PM's Office in India Justified? Is Deputy Premiere's Office in India Justified? Israel 's Invitation to Third War! 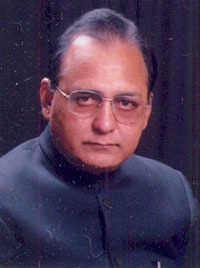 Mr.Tanveer Jafri, who serves as contributing writer for The Seoul Times, is a noted columnist in India. He writes on a variety of issues including world peace, anti-terrorism, and national & international politics for numerous news dailies and portals in India. As a devoted social activist he is member of Haryana Sahitya Academy & Haryana Urdu Academy.